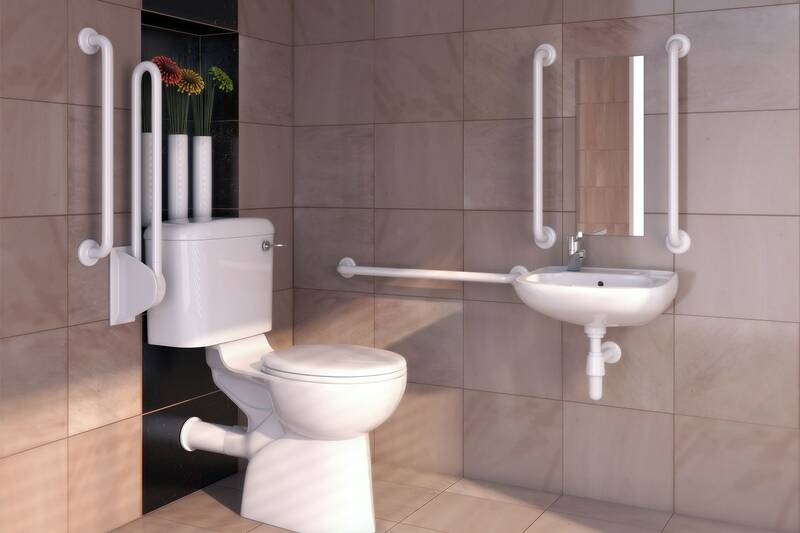 An outstanding range of grab rails, support fittings and other mobility aids providing more choice and more features for the best in adaptive bathroom specification. All products come with our Lifetime Guarantee. 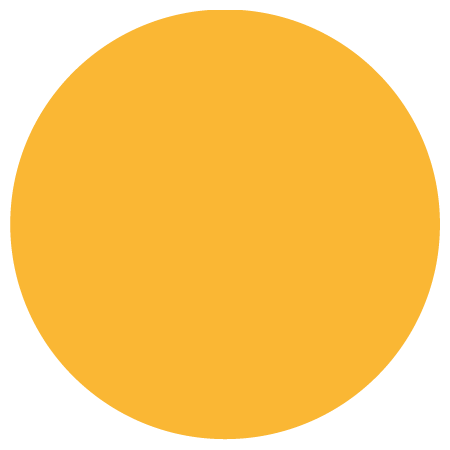 We offer a wide variety of options across our Freedom luxury range and Alutec economy range. All fittings are corrosion-free, with smooth lines that are warm and comfortable to the touch, and provide heavy-duty performance with exceptional strength-to-weight ratio. 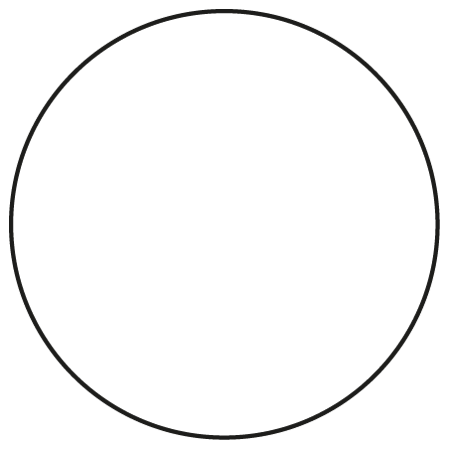 We also offer support packs which make it easier for you to order and offer a discount on the price you would pay for ordering the items separately. Providing the ultimate in designer adaptive bathing, Freedom offers a market-leading range of features and a superb choice of classic, contemporary and metallic finishes. 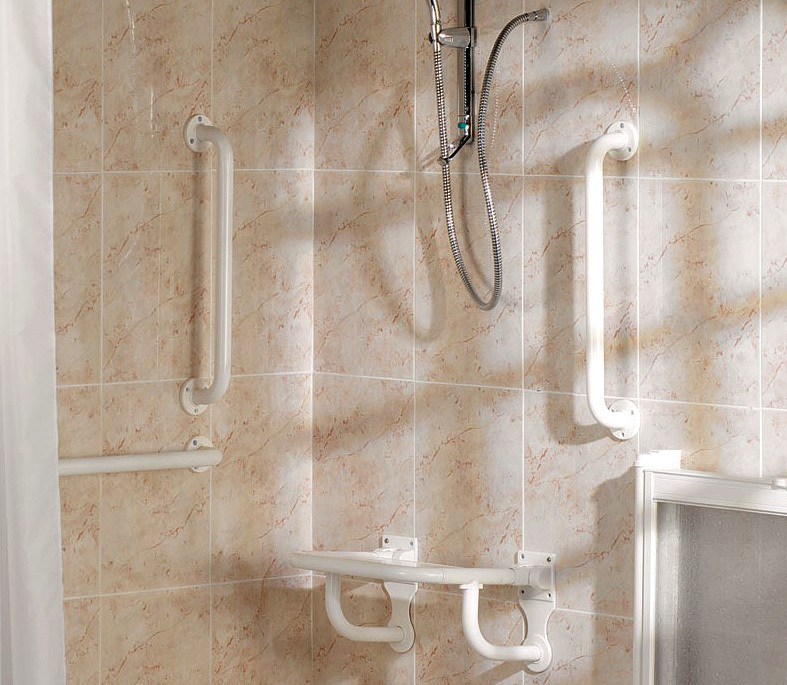 Freedom items include hinged support rails, back rests, grab rails, hinged shower seats, portable bath seats and various matching accessories such as towel rails, coat hooks, toilet roll holders, shelves and tilt adjustable mirrors. Alutec is our standard specification serving economy budgets without compromising on quality. It's a highly affordable no-frills option but enjoys the same precision engineering that neaco applies to all support systems. 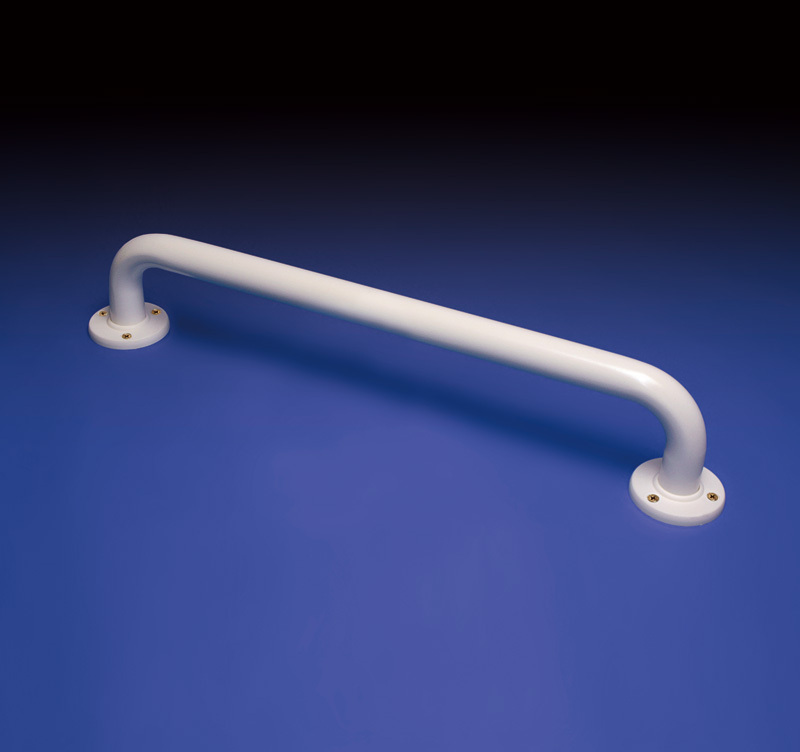 We offer a wide choice of grab rails, including straight, angled and L-shaped options. 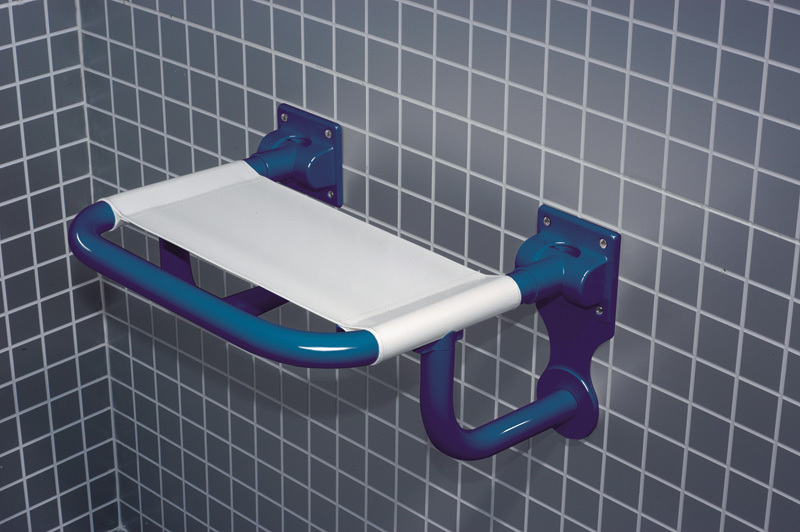 We also offer hinged support rails which can be specified with integral toilet roll holders, floor fixed support and height-adjustable wall support. Please see page 18 of our bathing range brochure for a full list of items. 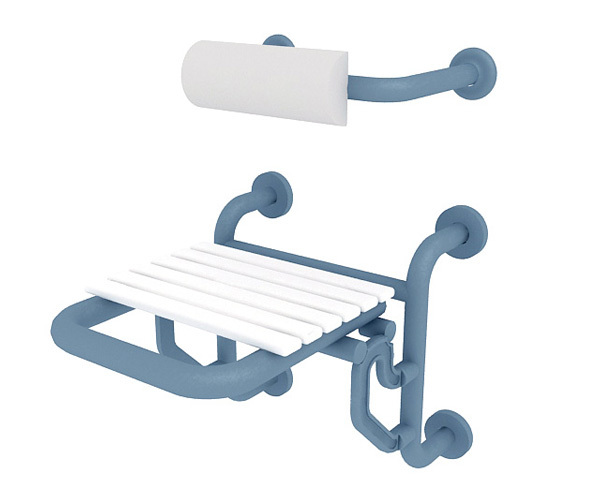 We offer a variety of seating options, including hinged shower seats in different sizes and portable bath seats. To save space, most seats can be locked in a vertical position when not in use. 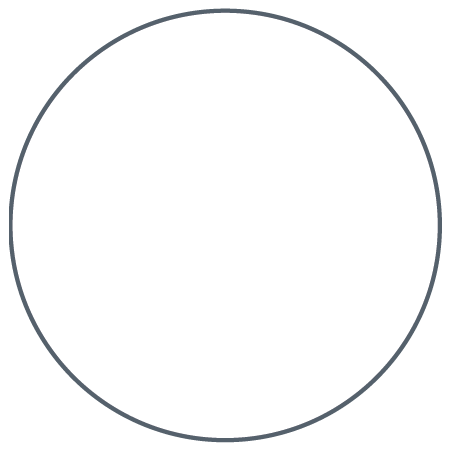 Some models include a cushioned back rest as standard and others can be ordered with back rest as an optional extra. Other options include a hinged leg support. Please see page 19 of our bathing range brochure for a full list of items. 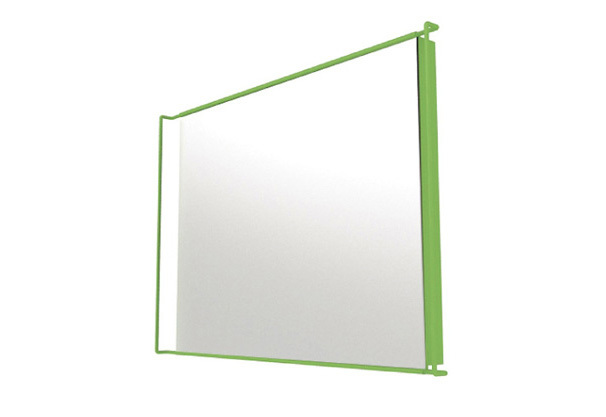 Freedom support systems are superbly complemented by our choice of accessories available in matching colours. 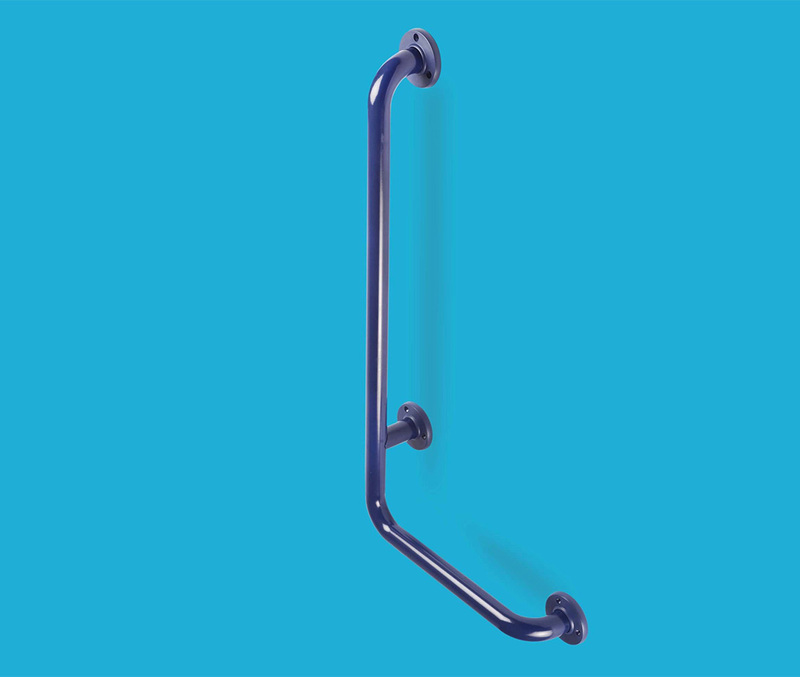 Items include towel rails, coat hooks, toilet roll holders, shelfs and tilt adjustable mirrors. Please see page 19 of our bathing range brochure for details on each item. Many of our customers like to pick and choose various individual items from our range to create their own bathroom design, but many customers prefer to keep things simple by opting for one of our Easy Order Packs providing all-in-one solutions. Suitable for a wide variety of bathrooms, this specification makes it easier for you to order and offers a discount on the price you would pay for ordering the items separately. 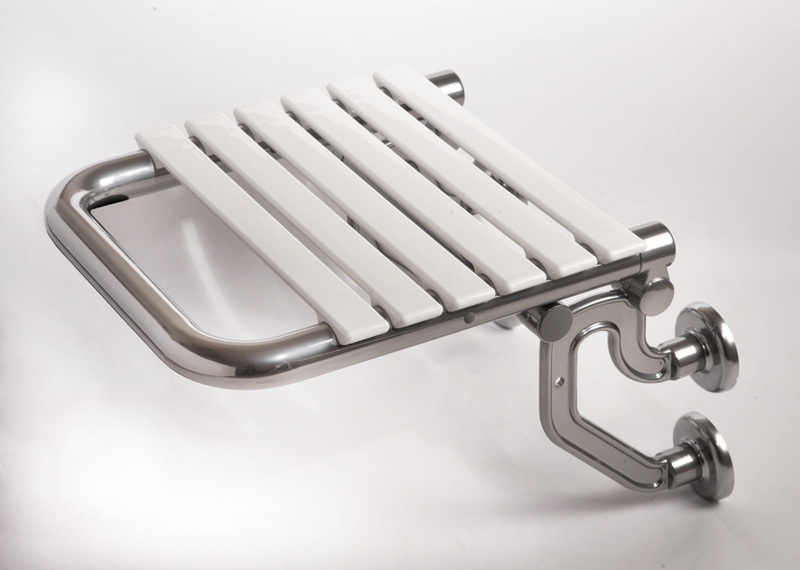 Our Support System Pack includes a hinged shower seat and three matching grab rails from our Freedom designer range. This can be superbly complemented by our Neatdek 3 Plus Pack, a high quality shower facility based around our Neatdek 3 true level access shower system with Aluseal enclosures. Please see page 23 of our bathing range brochure for a full list of items. With excellent insulation properties, Freedom's powder coated finish is warm and comfortable to the touch. 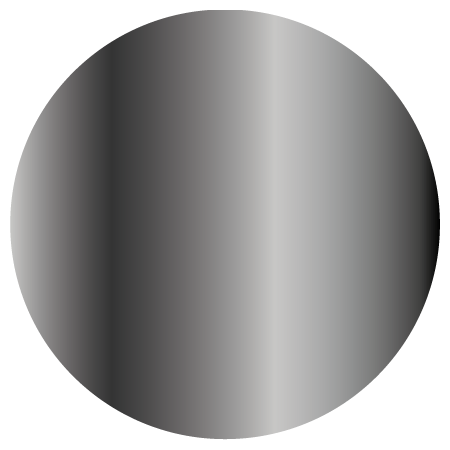 A routered surface on the inside of the rails provides a sure and positive grip. 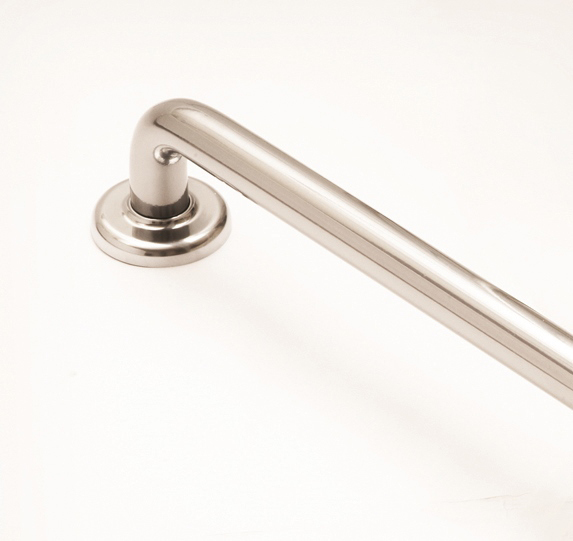 Our beautiful chrome-effect finish is an excellent alternative to real chrome fittings, which can be slippery to hold, especially when hands are wet. For that extra touch of designer aesthetic, we conceal unsightly screw fixings and ABS flanges with attractive rose covers. All Freedom seats feature stylish slats in nylon for extra comfort and hygiene. All Freedom support rails feature hidden hinges which allow the rail to be locked in a vertical position when not in use, thereby saving space. Most Freedom seats can be also locked in a vertical position. 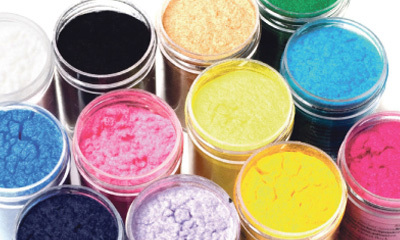 neaco's state-of-the-art powder coating facilities allow us to supply bespoke colours to individual specification, so we can supply a finish to match your bathroom scheme - giving you true designer luxury. 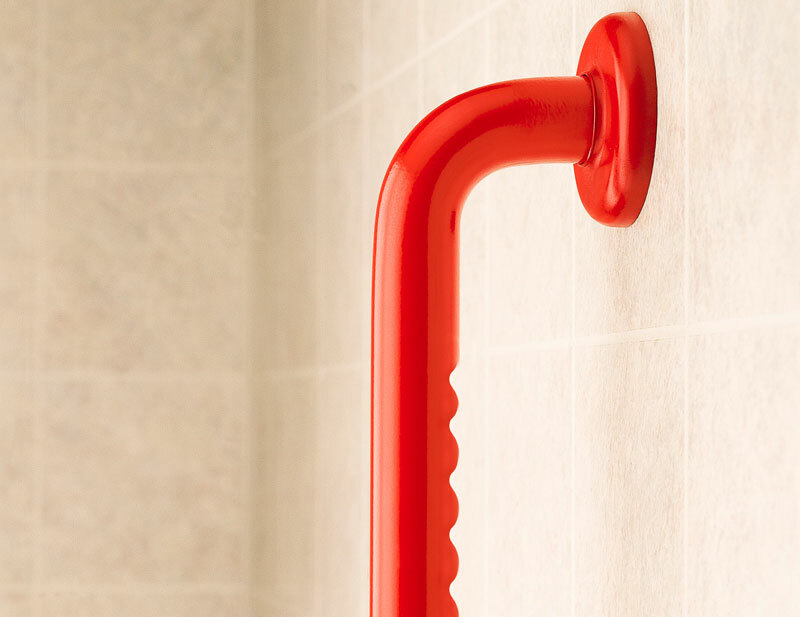 Freedom support fittings are also available in a unique selection of standard finishes to complement modern bathroom concepts as well as more traditionally designed bathrooms. 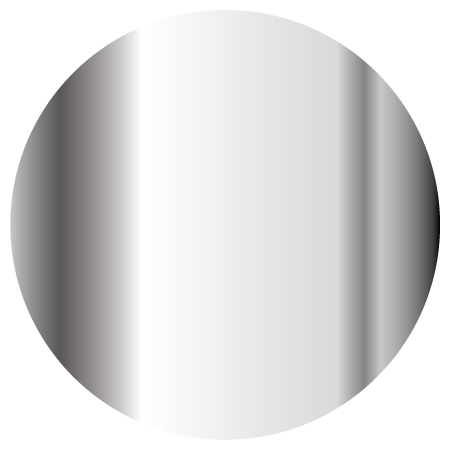 We have exciting range of contemporary colours, some stunning metallic and chrome-effect finishes and country-style colours for that ever-popular period home look. Choose a vibrant Sky Blue or a deep Melon Yellow to add a burst of colour to complement a minimalist monochrome bathroom, or perhaps a rich Wine Red or rustic Pale Green to furnish your bathroom with classic styling. 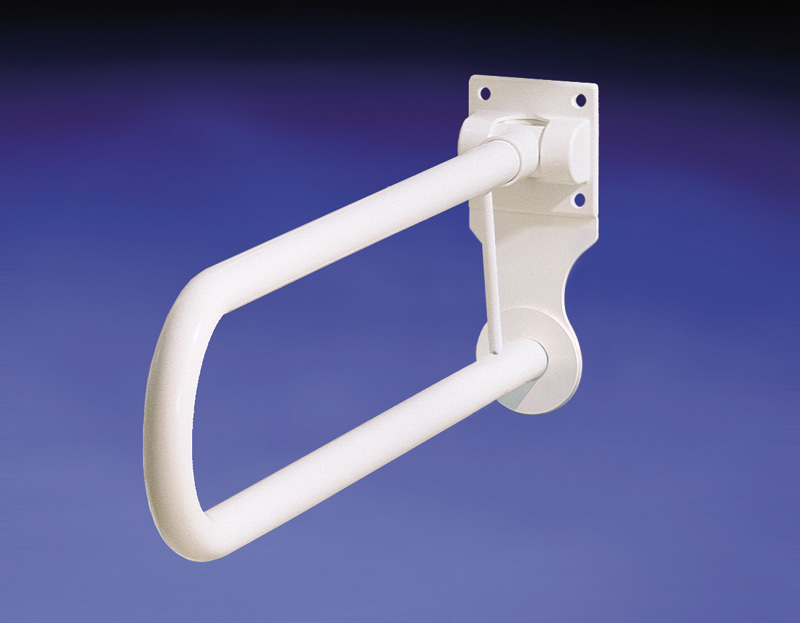 We offer a choice of Alutec grab rails, including straight and L-shaped options. 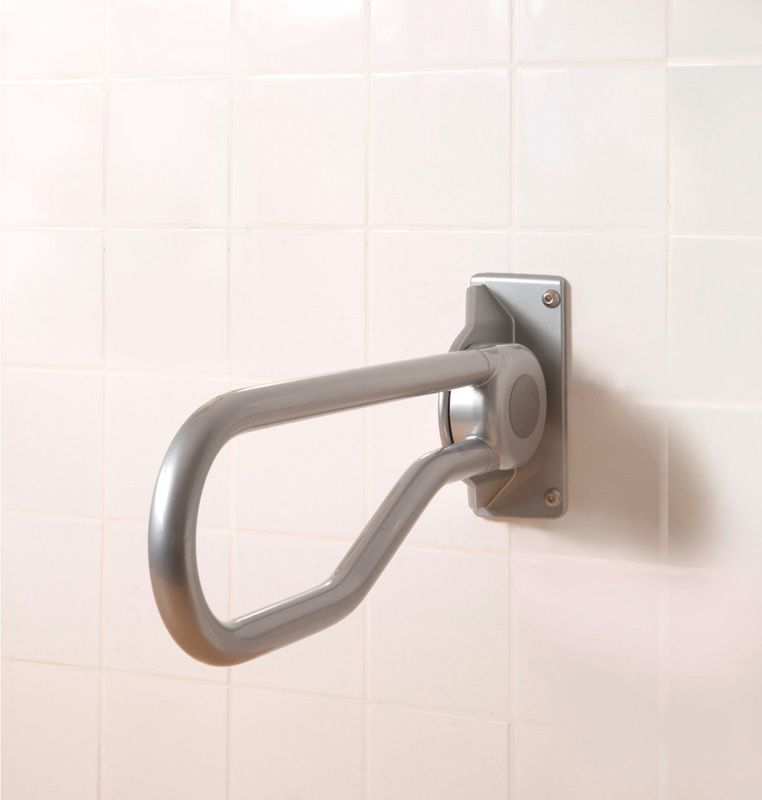 We also offer hinged support rails which can be specified with or without an integral toilet roll holder. Please see page 21 of our bathing range brochure for a full list of items. 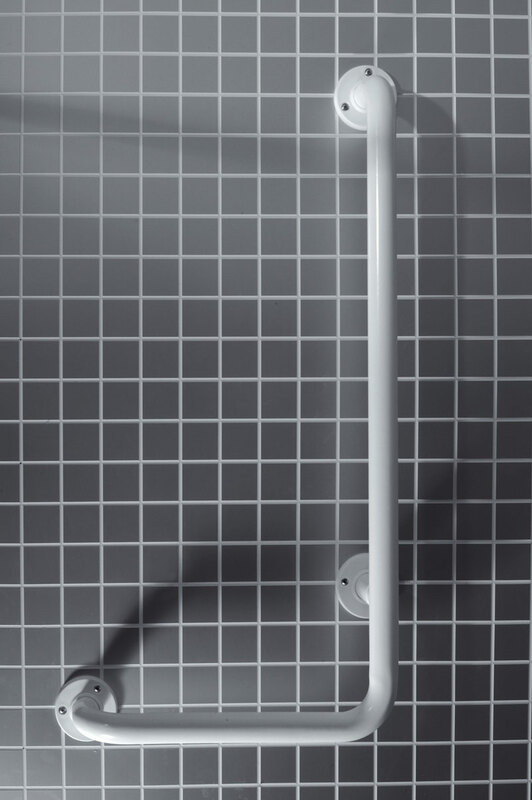 The Alutec range includes hinged shower seats which can be locked in a vertical position when not in use to save space. 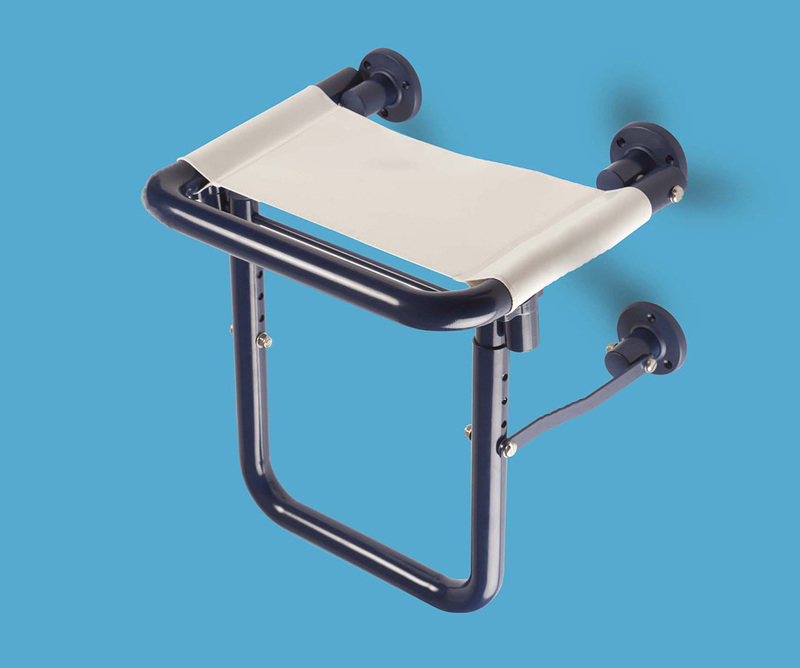 We offer a hinged leg support options and cushioned back rests. Many of our customers like to pick and choose various individual items from our range to create their own bathroom design, but many customers prefer to keep things simple by opting for one of our Easy Order Packs providing all-in-one solutions. Suitable for a wide variety of bathrooms, this specification makes it easier for you to order and offers a discount on the price you would pay for ordering the items separately. 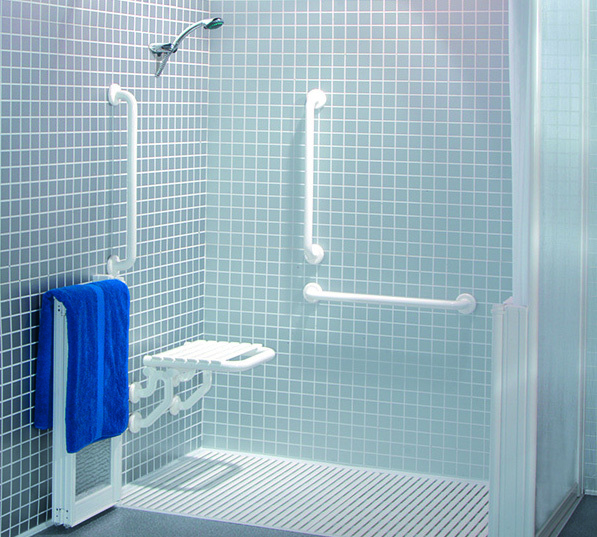 Our Support System Pack includes a hinged shower seat and three matching grab rails from our Alutec range. 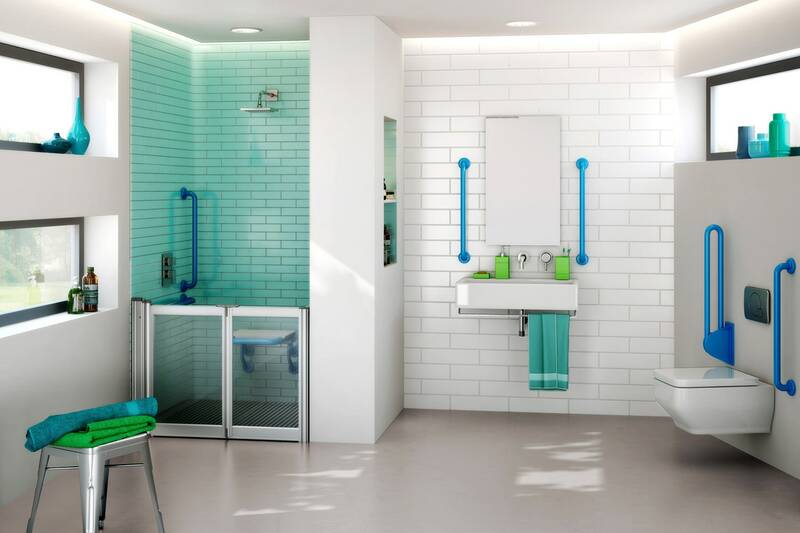 This can be superbly complemented by our Neatdek 3 Plus Pack, a high quality shower facility based around our Neatdek 3 true level access shower system with Aluseal enclosures. 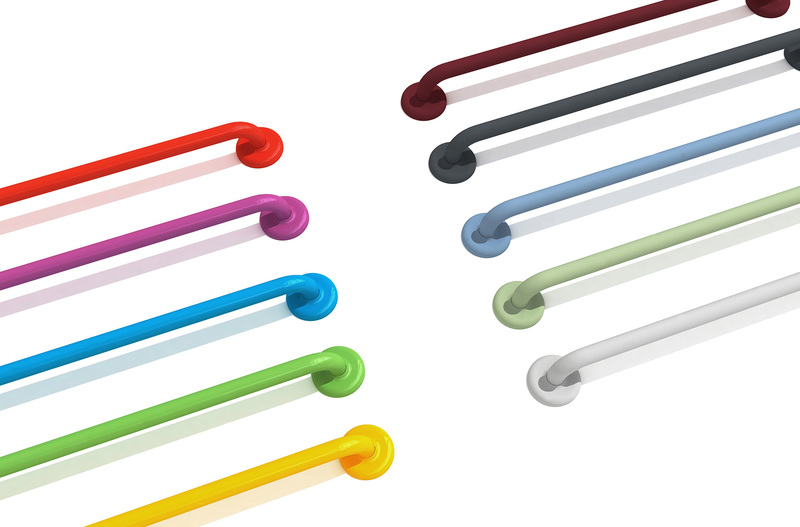 With excellent insulation properties, our powder coated finish is warm and comfortable to the touch. ABS flanges provide a strong, secure fixing to walls and tiles. All Alutec seats feature stylish fabric seats for comfort and an easy-to-clean surface. All Alutec support rails feature hinges which allow the rail to be locked in a vertical position when not in use, thereby saving space. Seats can be also locked in a vertical position.